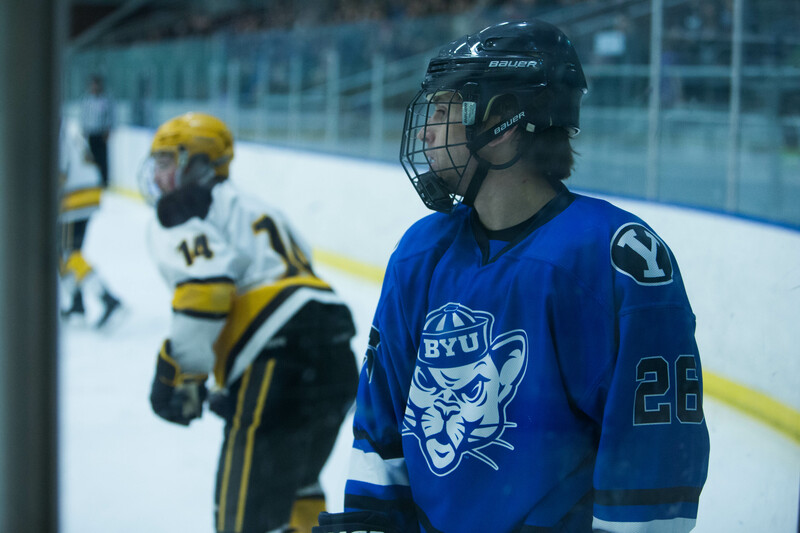 The BYU hockey team dedicated its game against Wyoming Friday, Jan. 26 to mental health awareness, in an attempt to break down barriers and talk openly about the subject. This idea came from a student, Chloe Lindsey, who has dealt with mental health issues and enjoys helping others through their own issues. She loves hockey and bringing people together, and that is exactly what she did. 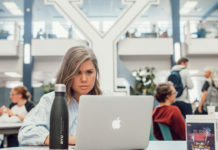 The BYU Accessibility Center sent out an email to all students on record with mental illness offering them free tickets to the game. “The goal of the night is to provide students with a night out doing a typical college student event that they might miss out on other events due to their mental illness,” said Lindsey, the event coordinator. All of the volunteers who decided to help Lindsey with this event were also students who struggle with mental illness. BYU played the University of Wyoming in an exciting game. The BYU hockey team has already dedicated games to several different causes in the past. Chris Udall from the BYU hockey team said the attendance of Friday’s game was one of the highest of the season, thanks to those supporting BYU and the cause of mental health. Chloe hopes that she can plan many more events such as this one in the future. Lindsey wants to bring down the awkward barrier between those dealing with mental illness and those who aren’t. She feels it is something that can be talked about openly – nobody has to be alone. One of her goals is to reach out and help as many people as she can. She has an Instagram page (@live_to_tell_your_story) where she shares content to bring those dealing with mental illness together to offer each other a hand. Sports writer for the Daily Universe, from Salt Lake City, Utah.